When you start comparing laminate flooring versus hardwood flooring, you should know what the major difference between the two are. Laminate flooring isn’t actually made of wood. It is made from a blend of different things to imitate hardwood floors. Hardwood flooring on the other hand is made from natural wood. The biggest difference in appearance is that laminate flooring will have a replicated pattern in the design. Hardwoods have a unique variation in grains and the way they look. 2. Which one is easier to clean and maintain? Because laminate flooring is more resistant to wear and tear and moisture than hardwood, it is a lot easier to clean. Hardwood floors take a lot of time to clean and maintain to make it pristine and brand new. A lot of laminate floors have a long warranty on how long they will be in good shape, whereas a lot of hardwood floors require a specific kind of cleaner to keep them clean, which can get expensive in the long run. 3. What is engineered wood flooring? Engineered wood flooring is a cheaper option than real hardwood and a bit more expensive than laminate. So, it’s sort of the middle ground when it comes to price. Engineered wood flooring requires the same upkeep as normal hardwood does — it might even take more depending on what kind you get. Like hardwoods, engineered wood floors react negatively to moisture. So if your area tends to have a high humidity percentage in the warmer months, just make sure to keep an eye on your floors. 4. Which option is cheaper? Laminate flooring tends to be the cheaper option in the race against hardwood flooring. High-quality laminate can look nearly identical to real hardwood floors, so if you want the look without the price, that’s always an option. Like we said earlier, engineered wood flooring tends to be the middle ground in price, but it does take a lot to keep it clean and looking nice. 5. Where’s the best place to compare them in person? One of the easiest ways to settle the debate in your head between laminate flooring or hardwood flooring is to compare them in person! If you visit one of our locations in Murphy, NC, you’ll have the chance to do just that. 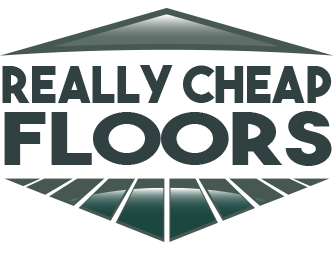 We are more than happy to answer any questions you may have about the flooring while you are there because we want to help you find the right flooring for your space. Learn all about the different flooring options online and reach out to us with any more questions you have before you decide what to buy.